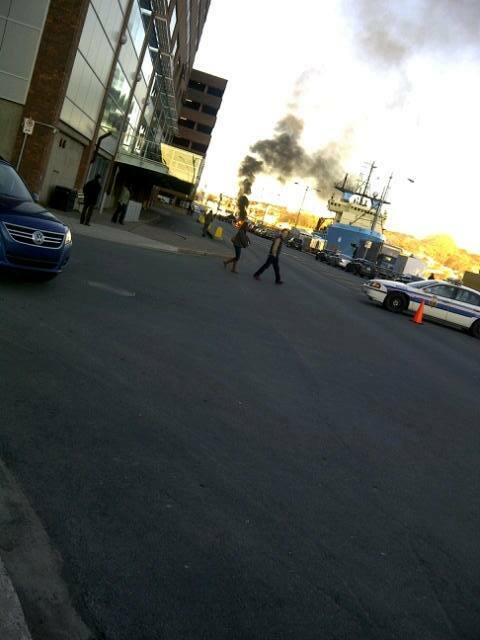 This picture was taken this morning at 6:45 a.m. in St. John's. 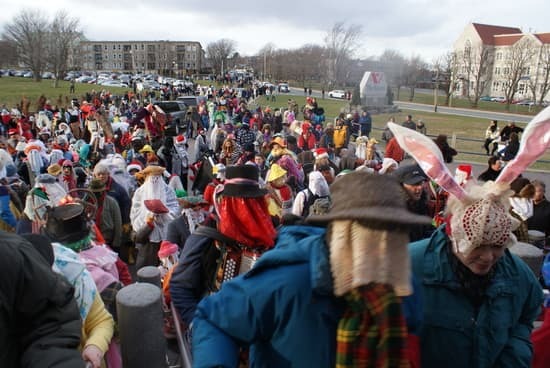 Our CBC colleague John Rieti is in town. 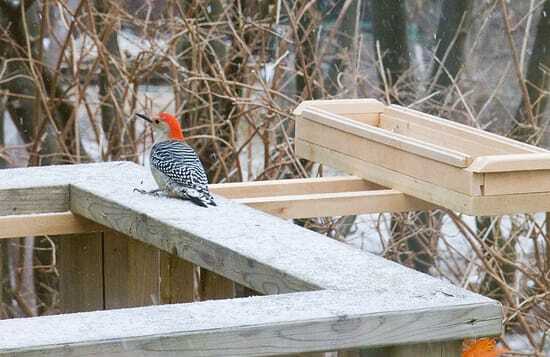 He gave seen these photos of birds in his back yard. 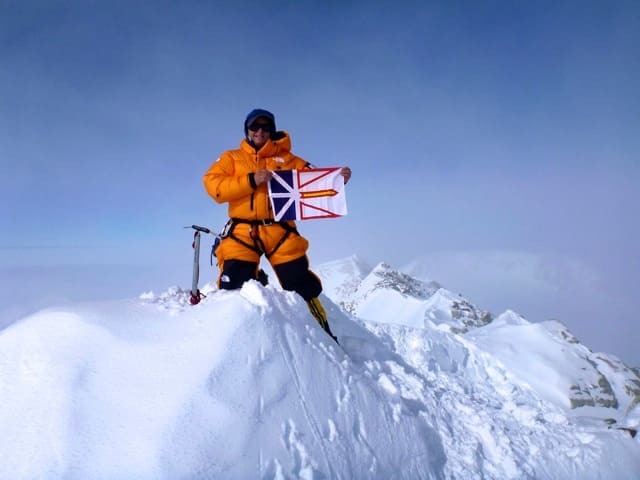 T. A. Loeffler, Memorial professor, proudly displaying the Newfoundland and Labrador flag at the summit of Mount Vinson - Antarctica's highest peak. 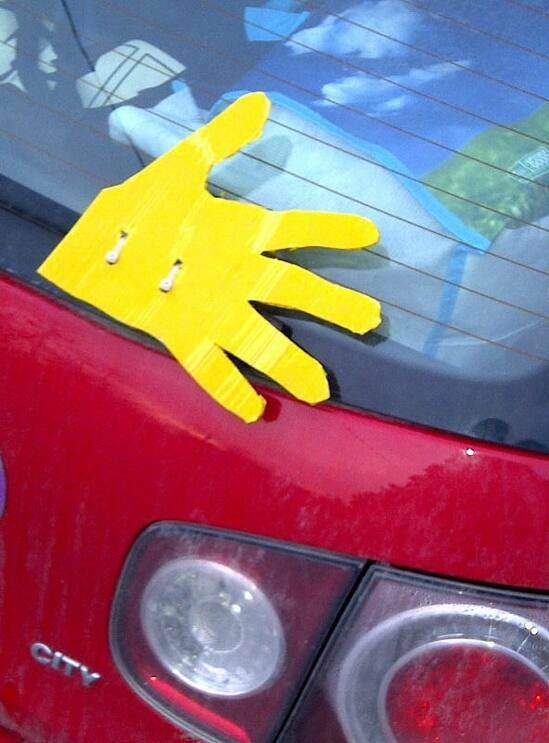 It's a wind-shield wiper. 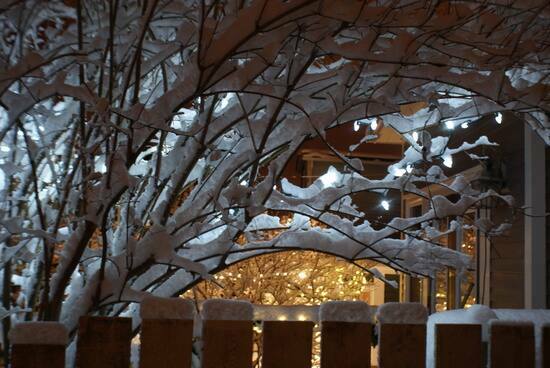 And it waves at you as well. 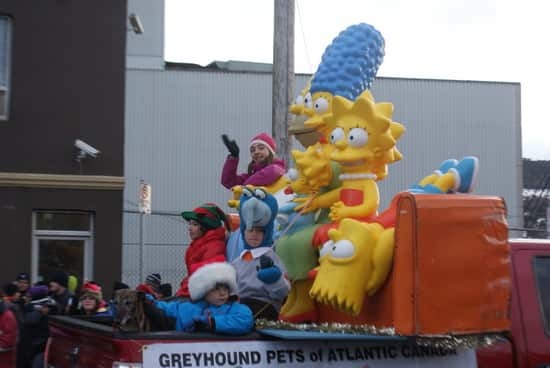 seen on a St. John's car. 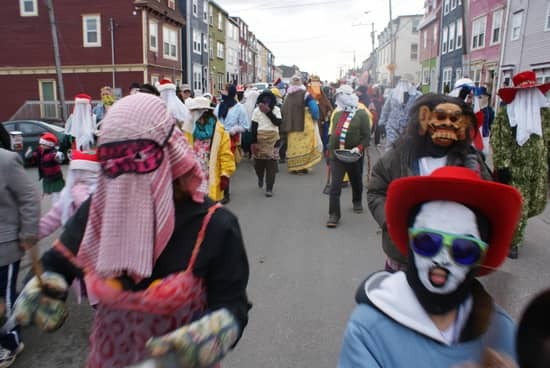 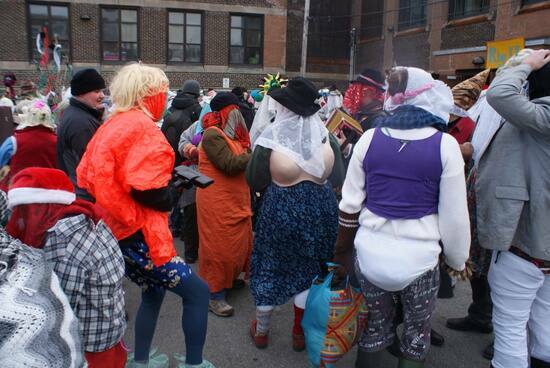 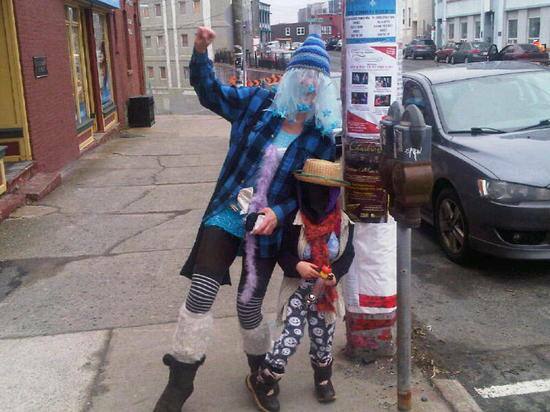 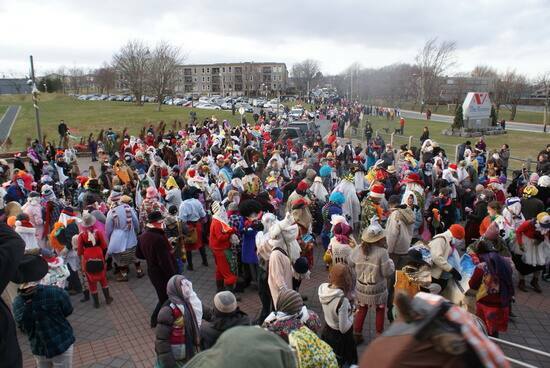 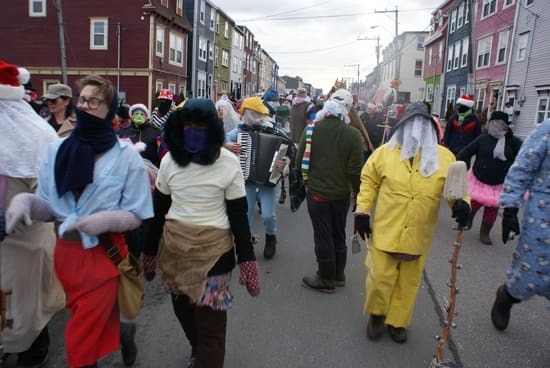 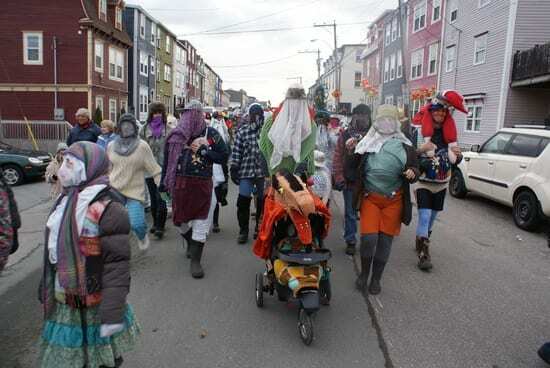 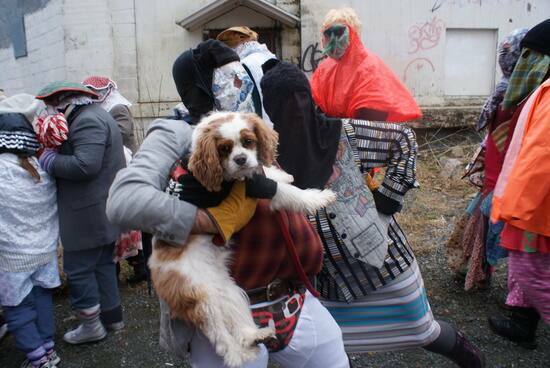 Mummers took over downtown St. John's on Saturday. 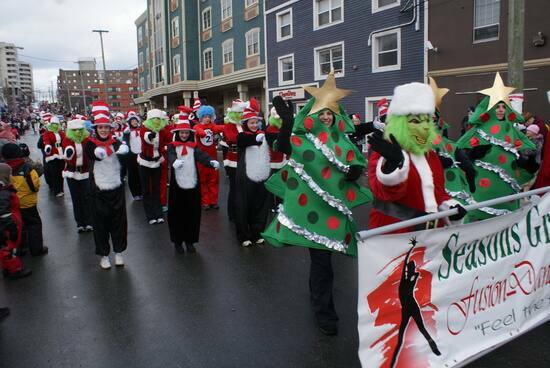 About 300 people put together amazing costumes to celebrate an annual Christmas tradition. 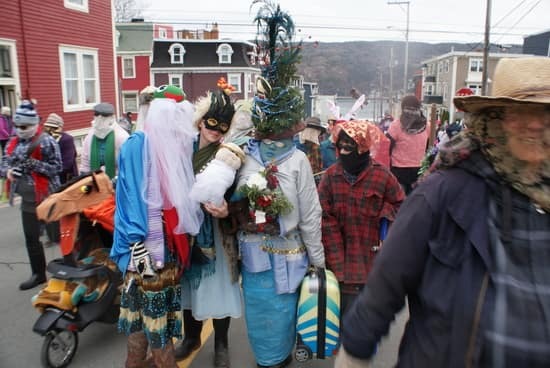 seen photographers were in the parade as it went down city streets, and inside The Rooms when it opened the doors to let Mummers in for syrup and cake. 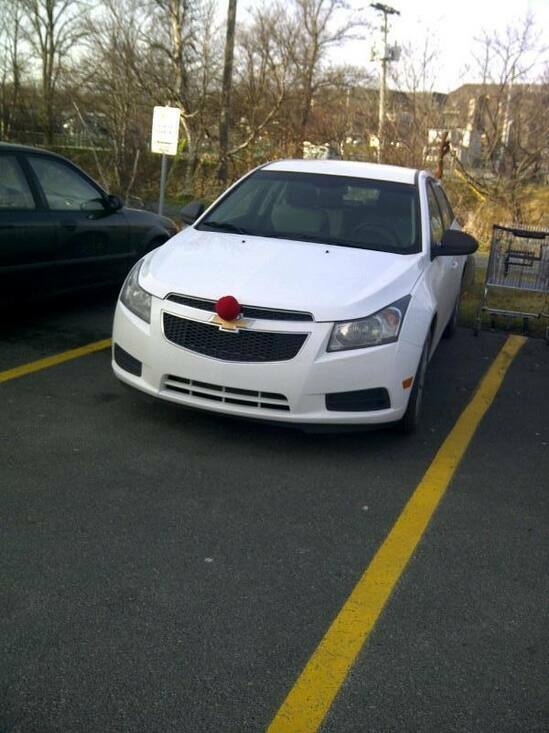 seen as noticed a lot of cars and vans with reindeer noses and antlers around. 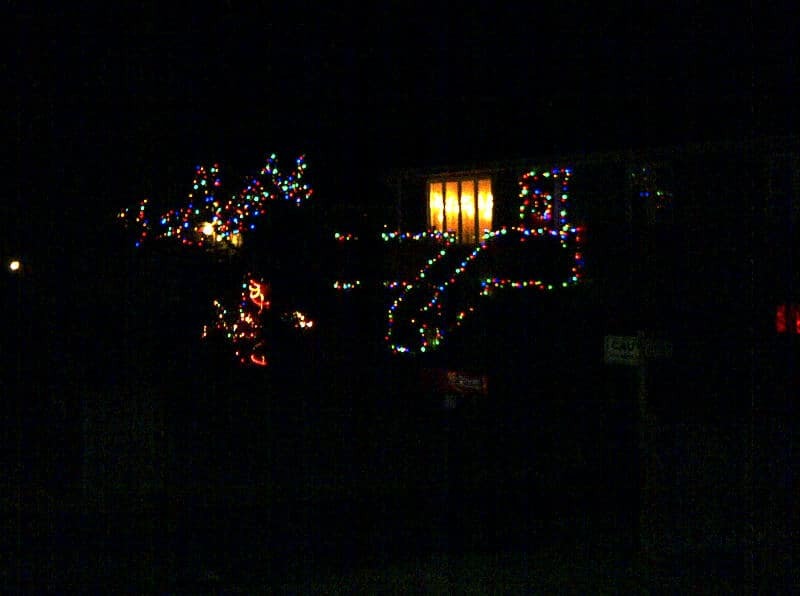 It's a nice way to get in the holiday mood. 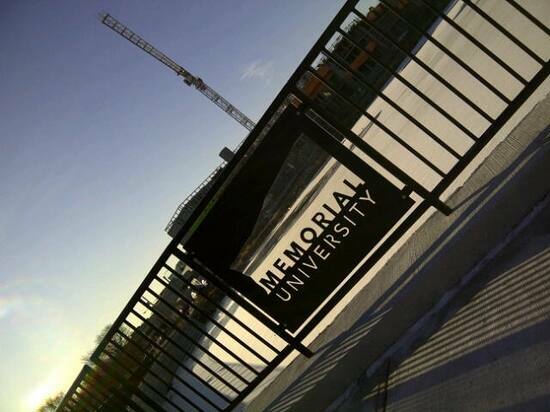 A different kind of look at MUN's new residences. 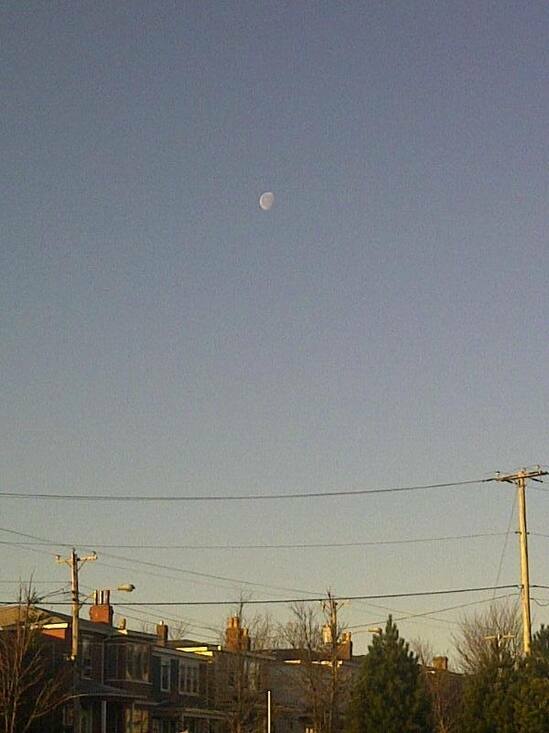 The moon has been putting in a full day recently. 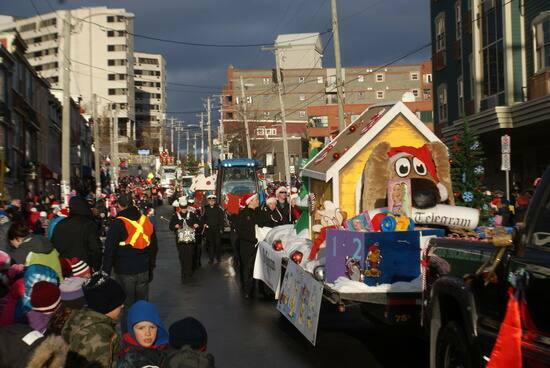 Here it was hanging over the sky at 9:00 a.m. in St. John's. 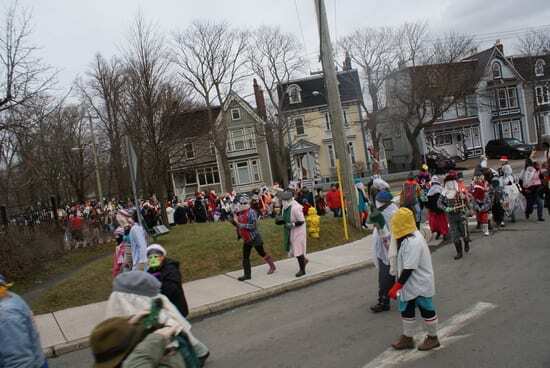 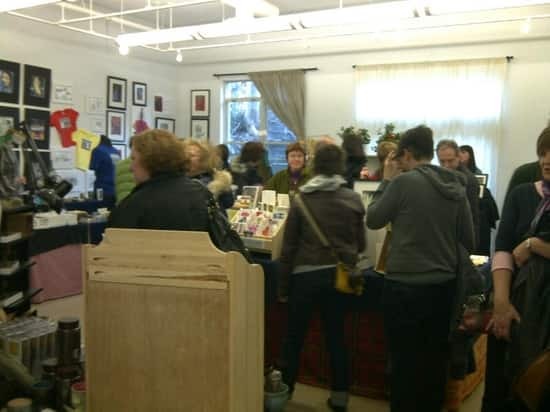 seen was walking by the Rocket bakery in St. John's a week ago and spied a large crowd of teens. 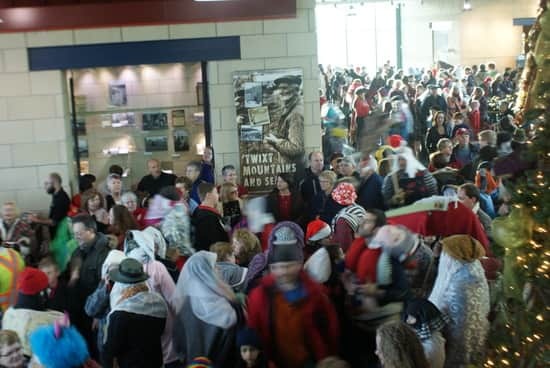 It turns out it's a regular meeting of students from Gonzaga High School. 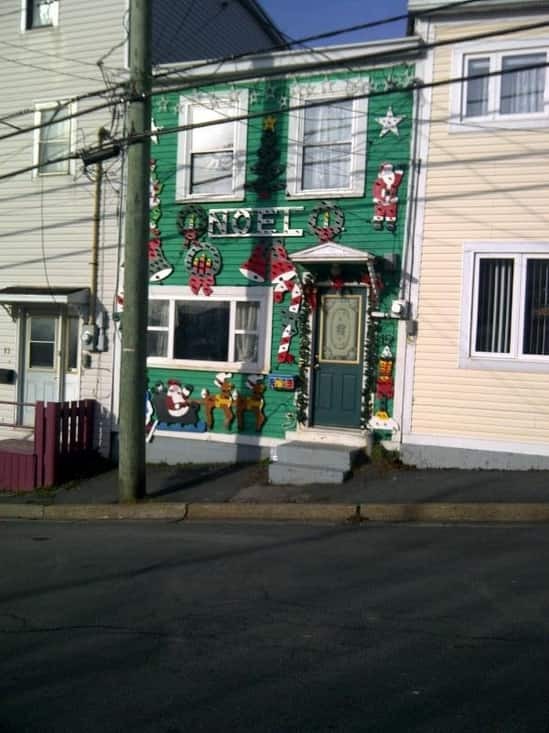 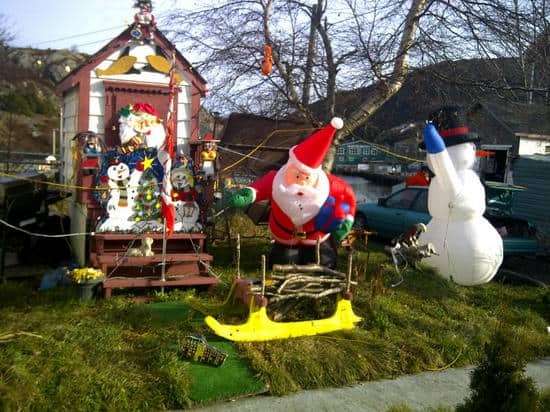 A couple of photos of properties around St. John's whose owners put a little extra into their Christmas decorating. 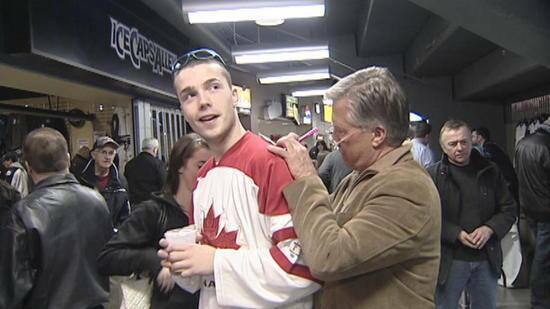 The former premier signs autographs at the Ice Caps game on Sunday. 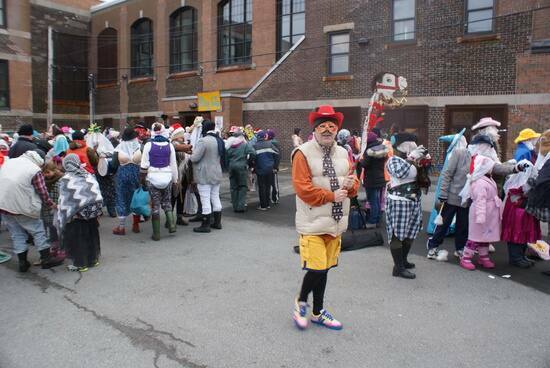 The lineup was a lot longer than this photo indicates. 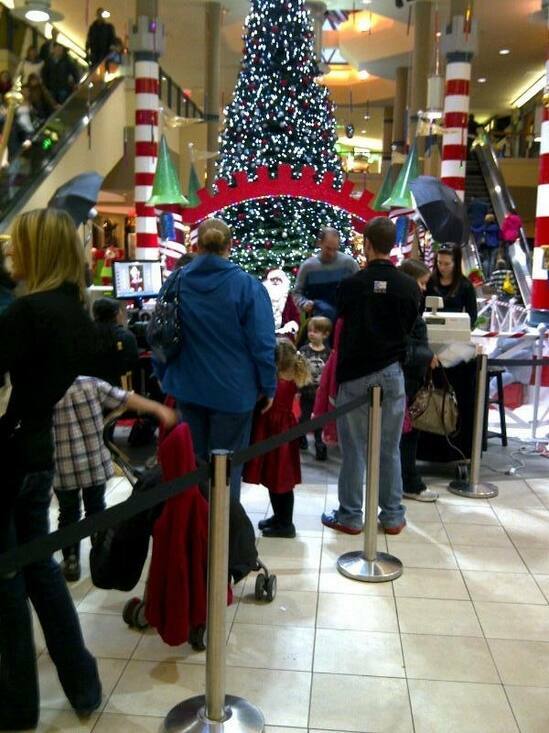 Santa drew a big crowd at the Avalon Mall for photos. 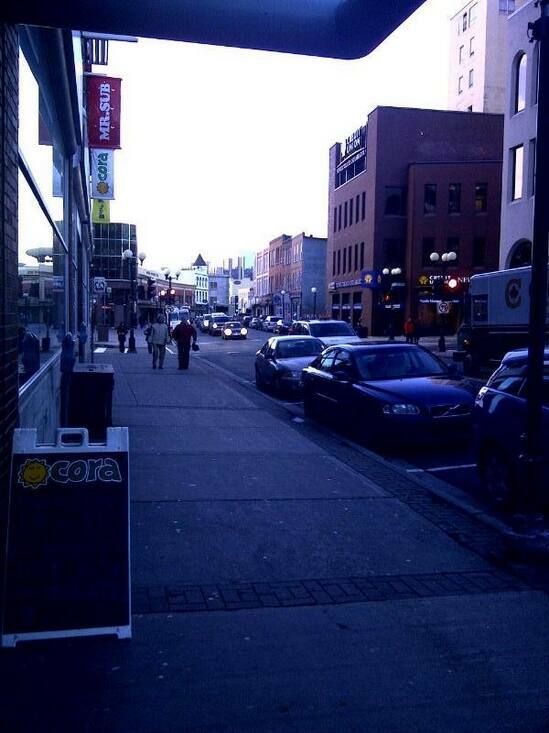 Downtown St. John's Friday morning. 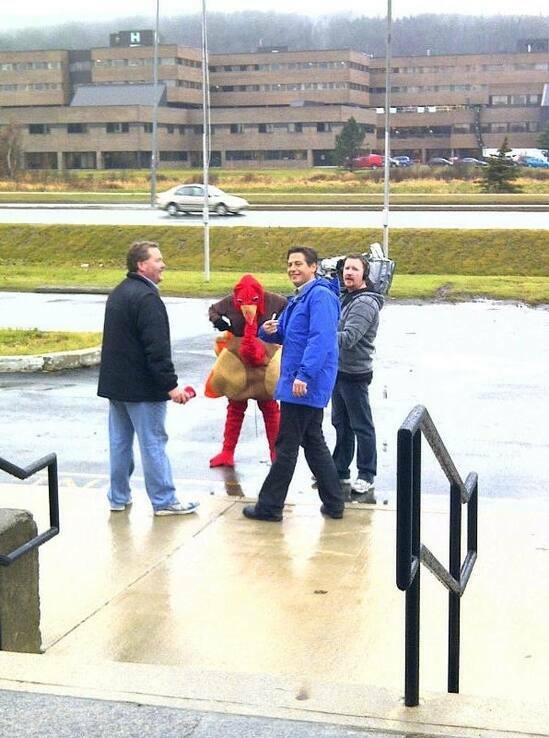 The St. John's Morning Show's Cec Haire and Anthony Germain were out this morning recording a promo for the CBC's annual Turkey Drive.The camera person is Darryl Murphy, and the turkey? 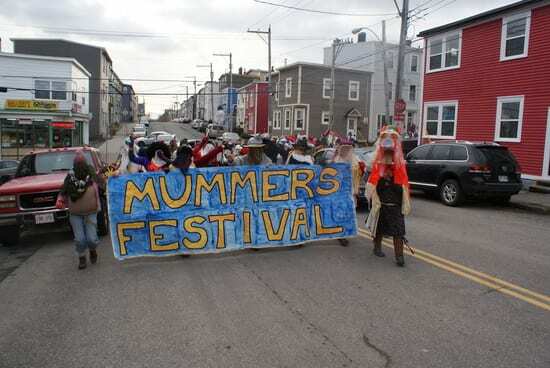 Well, we're not saying. 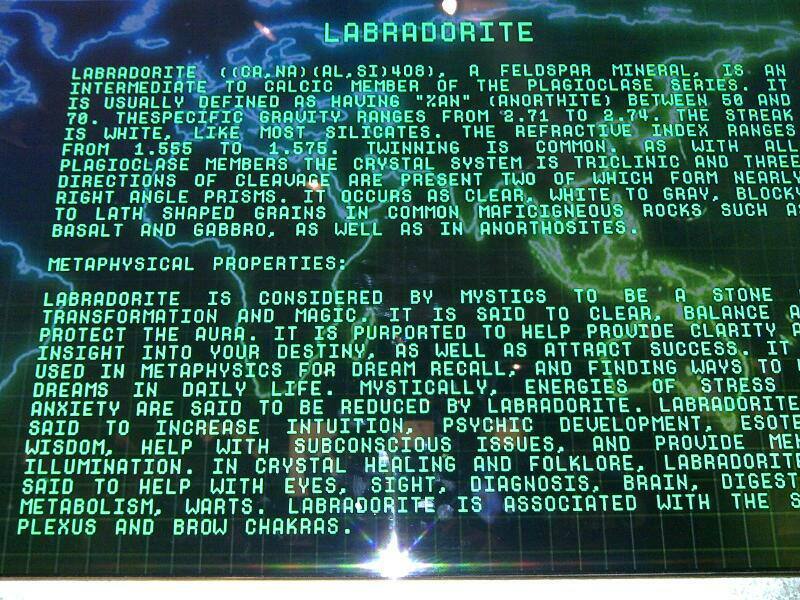 We, in this province, are fans of Labradorite. 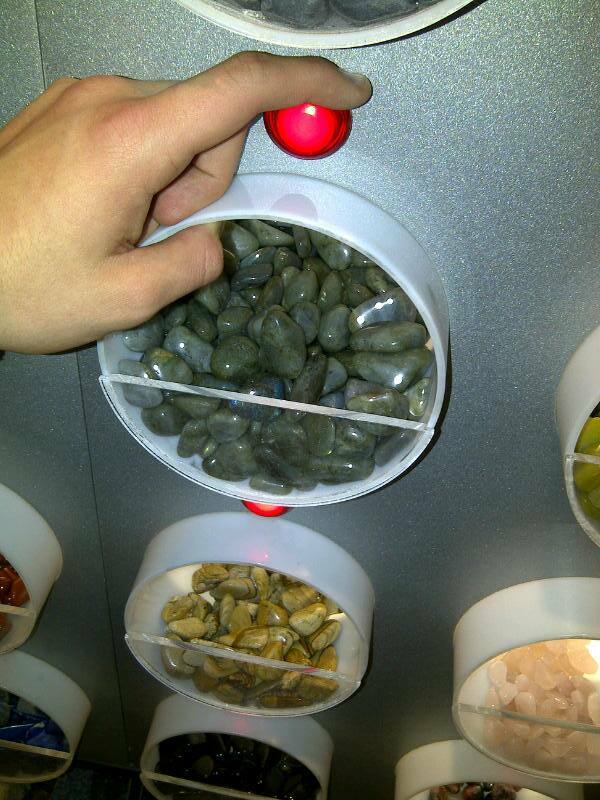 The purplish stones are seen a lot, mostly in jewelry. But this display is not in Newfoundland or Labrador. 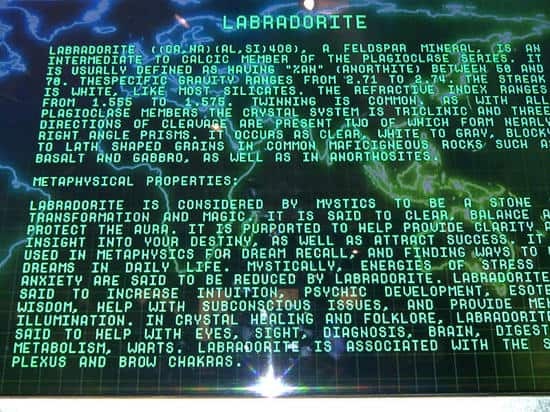 It's in F.A.O. 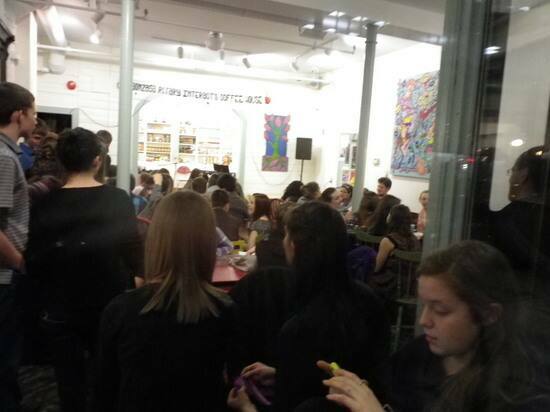 Schwartz - the world famous toy store in New York. 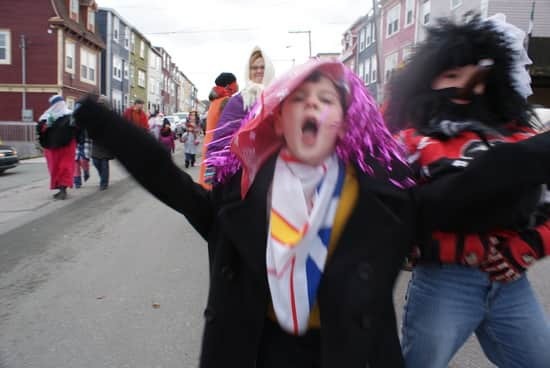 Matt Howse is shaving his head because he wants the house of assembly to reopen now. 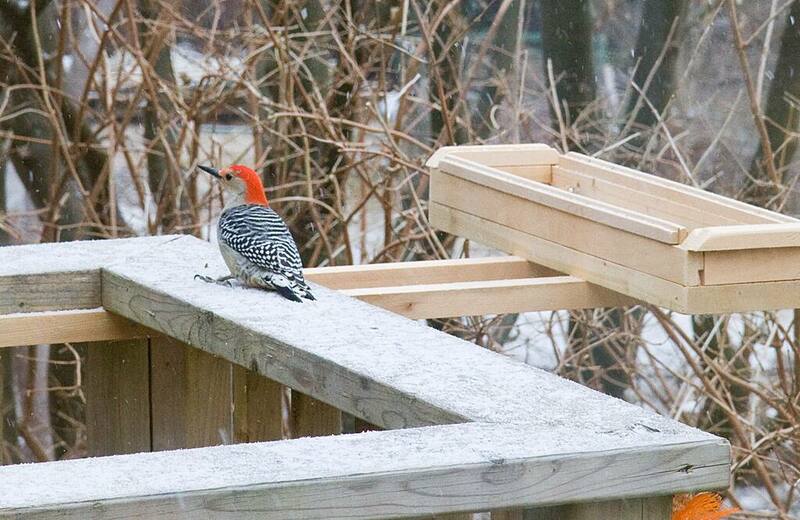 And he's letting his hair grow back until the house opens in the spring. 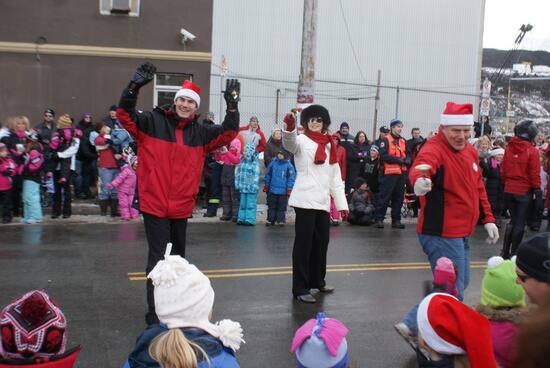 The Dunderdale government decided not to open the house shortly after it's Oct. 11 re-election. Howse, 27, allowed the CBC's Adam Walsh to start shaving Howse's head during Tuesday's St.John's Morning Show. 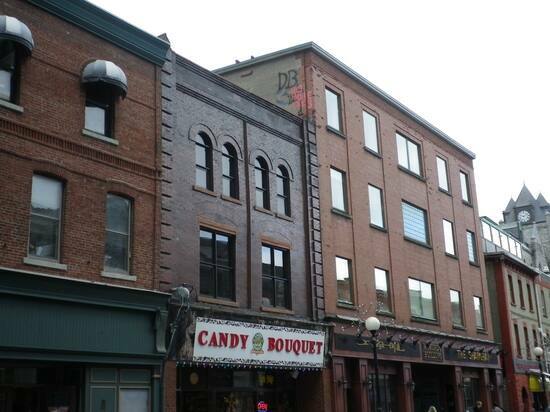 A professional barber later finished the job. 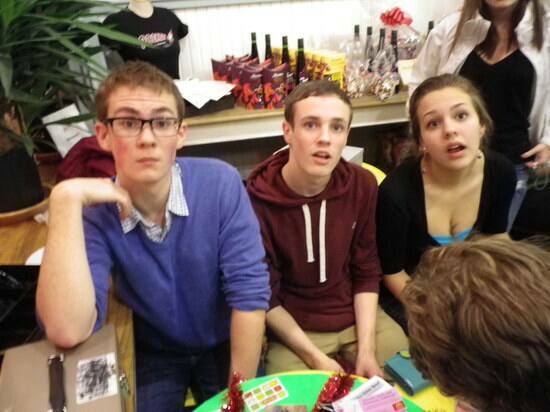 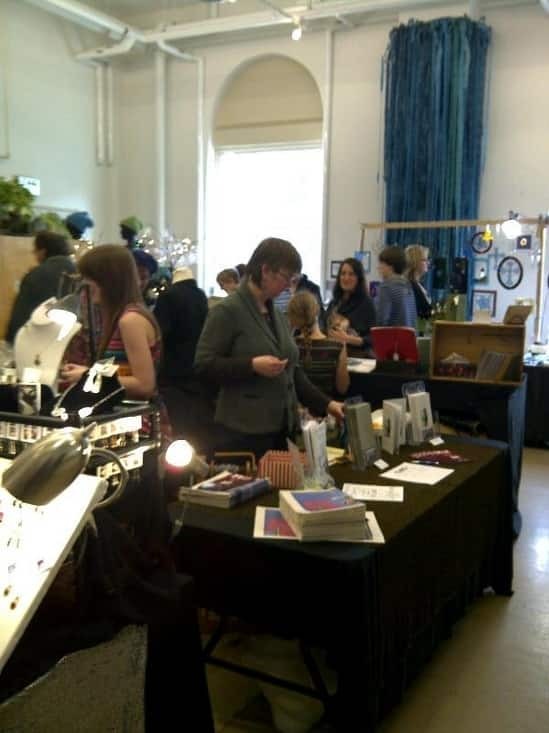 Here are photos of Howse's experience. 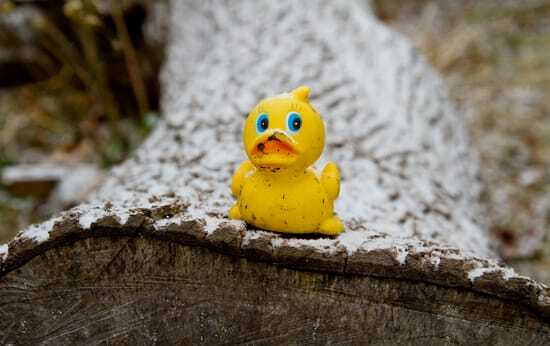 We'll check in with him over the next few months. 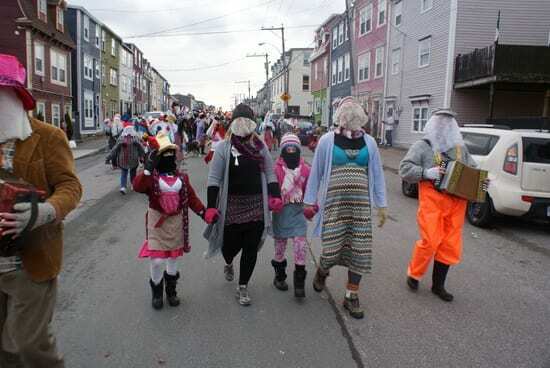 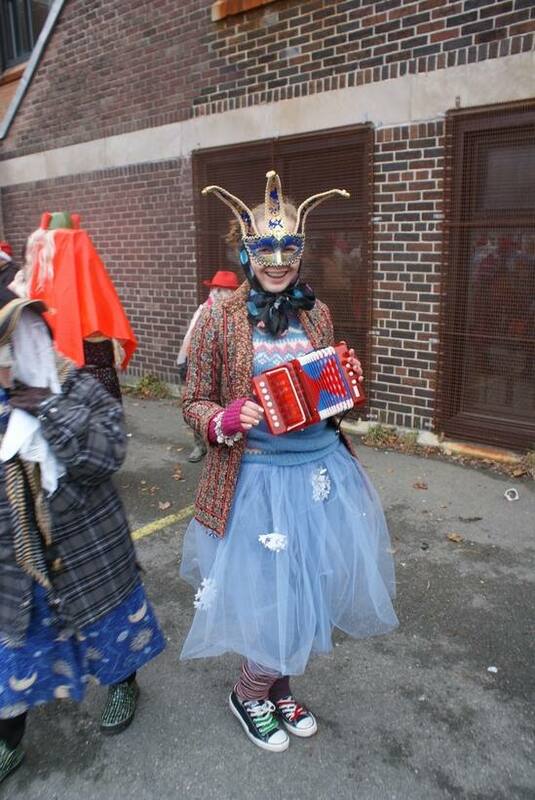 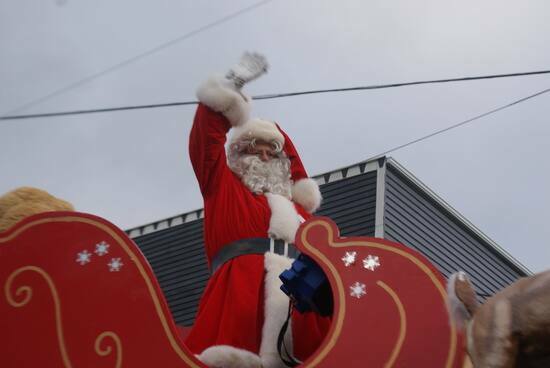 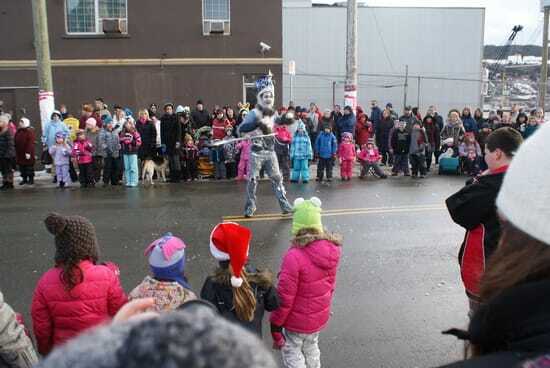 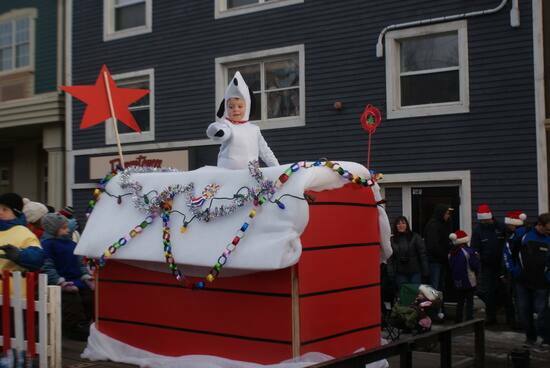 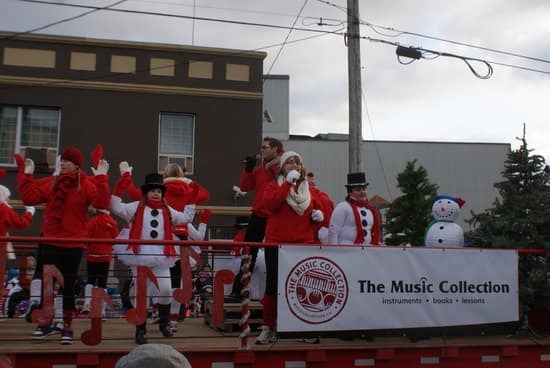 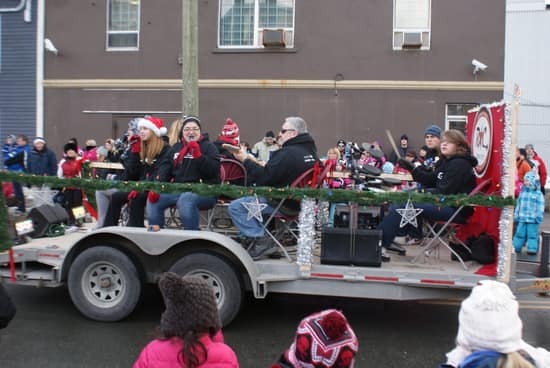 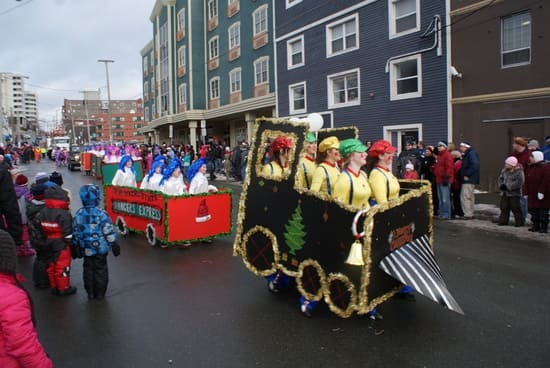 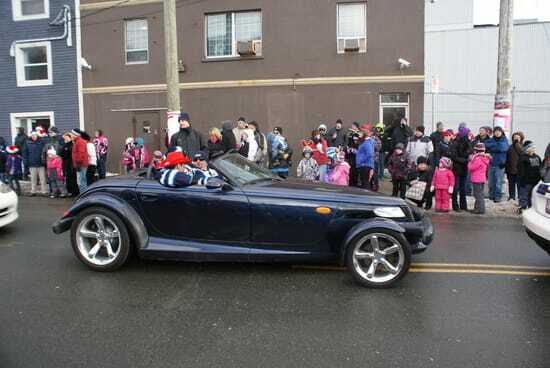 The Mummer's Festival has a whole bunch of events leading up to the parade on Dec. 17. 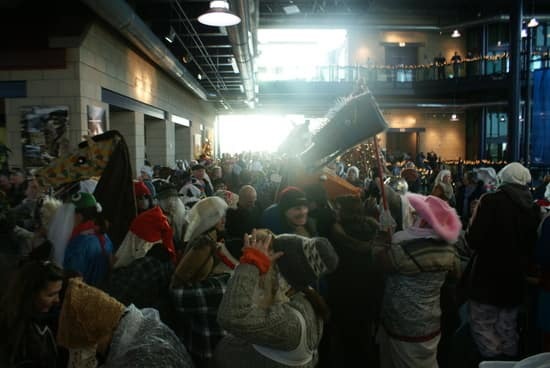 You can get the full schedule at the festival's website. seen found these two getting into the fun of it this morning on Duckworth Street. 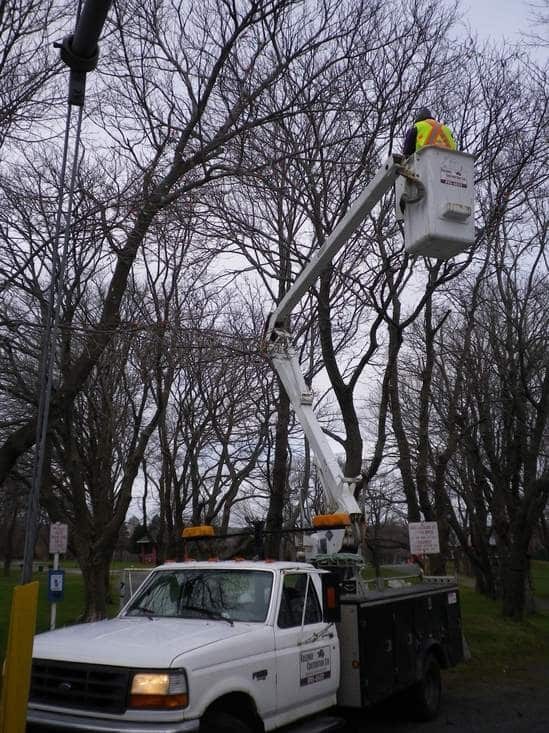 Workers installing holiday lights in Bannerman Park. 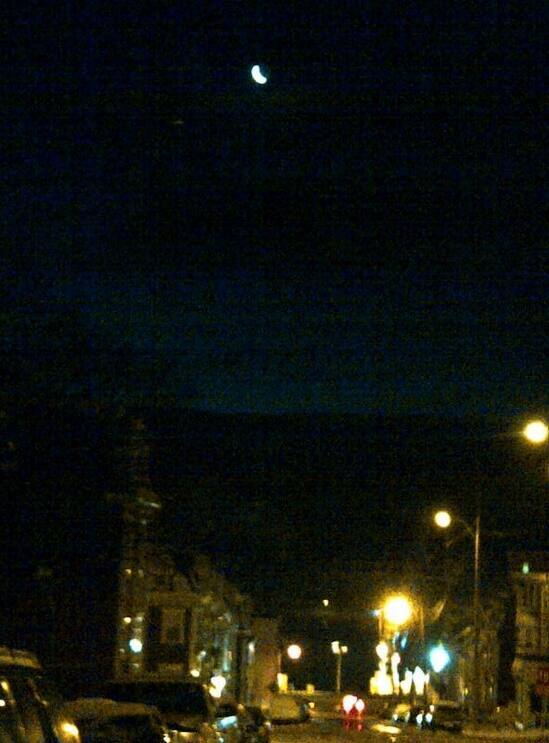 Way up there on the top, you can see it says " No more lies." Who's lying about what? Lovely Christmas lights are popping up all over the place. 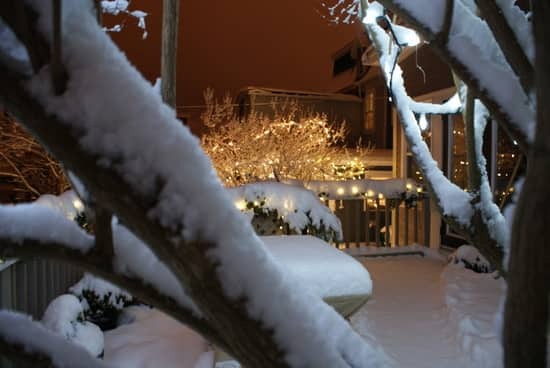 This house is in Paradise. 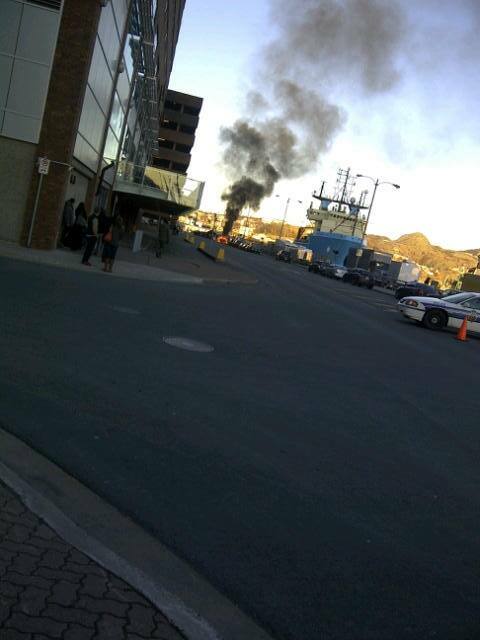 This images is from an explosion on the waterfront in St. John's. Not to worry. 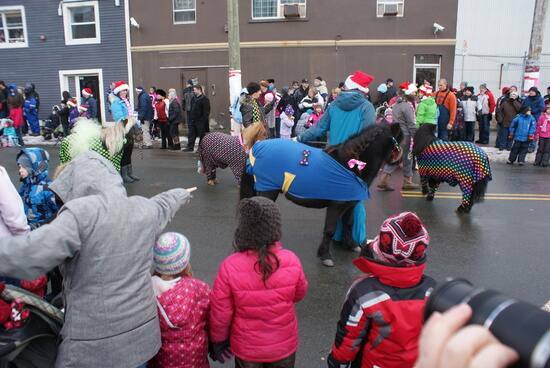 We're told it's from an upcoming episode of the Republic of Doyle. 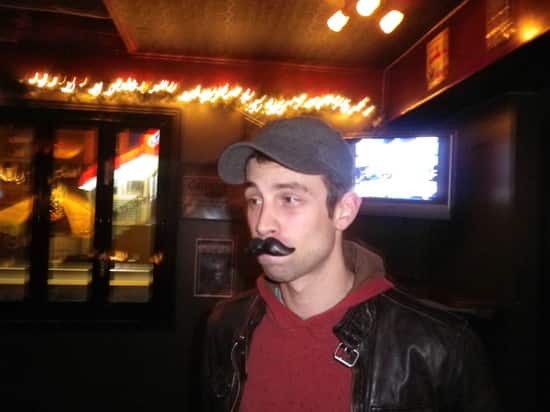 Movember has come and gone, but we have this photo from a Movember party we threw for our Movember participants. 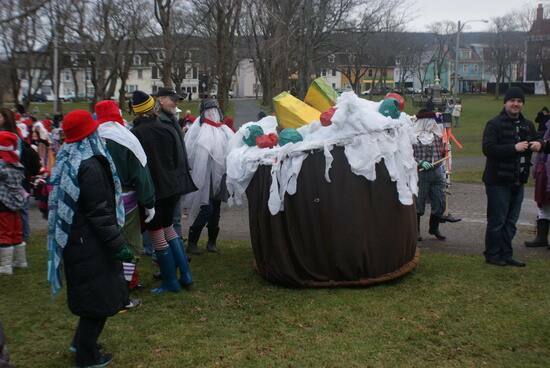 Here we have Zach Goudie trying to keep up with the big boys.